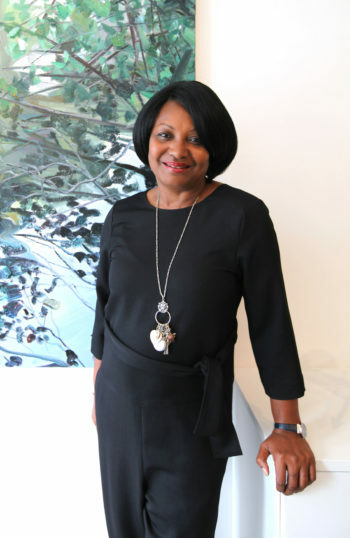 Jennifer Francis from Carriacou, has been appointed Gallery Director to lead global operations of the prestigious Flowers Gallery in the UK, as of 3 September 2018. Francis will be based in London. Francis was Director of Marketing, Communications and Visitor Services at the Louvre Abu Dhabi; Executive Director of Marketing and Communications at the Philadelphia Museum of Art; Head of Press and Marketing at the Royal Academy of Arts in London. She has held senior positions at the Victoria and Albert Museum, Royal College of Art and the Drum Art Centre. She has been a member of Arts Council England and has provided consulting services to a number of leading cultural organisations in Great Britain, including Channel Four Television, South Bank Centre, London Tourist Board and the Royal Opera House. Commissioner of the Grenada pavilion in Venice, Susan Mains said this appointment is another achievement for art in Grenada! Mains visited with Francis when she passed through Grenada earlier this year en route from carnival in Carriacou. Among other things, they spoke about the need for an art centre in Carriacou. Francis is listed as a financial supporter for the Grenada pavilion in 2017. Mains noted that Grenada’s international participation pulls Grenadians from all over the world back into contact and extends the network of artists.